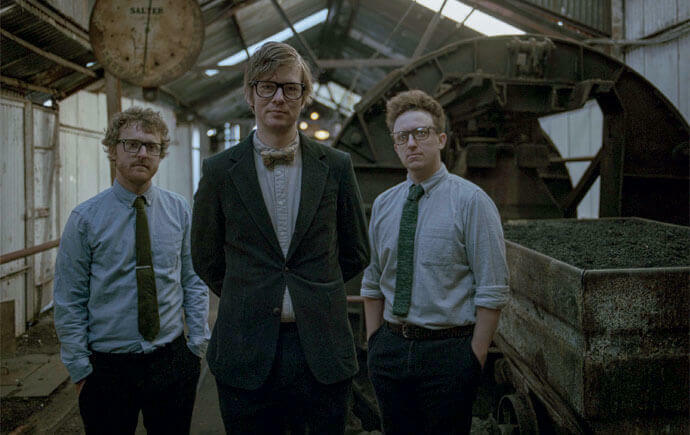 As Public Service Broadcasting releases their hotly anticipated third album, Mark Perkins to dons his finest tweed jacket and have a respectful word with J Willgoose Esq. 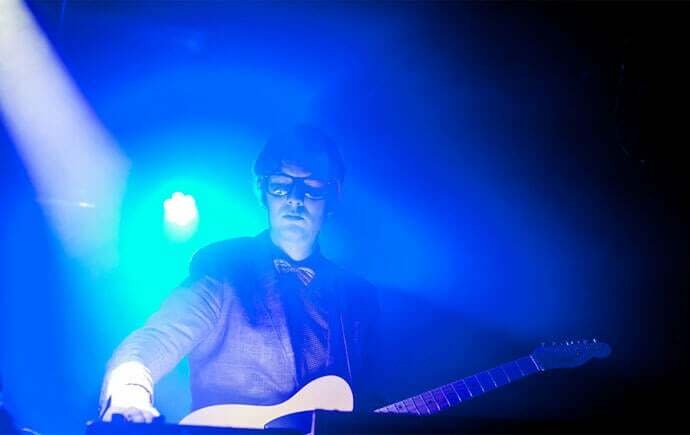 In music these days, being described as ‘unique’ is not uncommon, but there is just no other way of describing Public Service Broadcasting. If you’ve caught them on any of their previous visits to the Steel City, you’ll know they take dialogue from archive documentary films to make enthralling music which often tells a story, but has a character of its own. You’ve made songs about everything from Spitfires to Everest, and a whole album about the Race to the Moon, so perhaps I shouldn’t be surprised to hear the new one, ‘Every Valley’, is about coal mining in Wales. How did you decide on an album about the Welsh pits? It just evolved, really over quite a long period. We had access to the BFI archive of films and the South Wales Mining Archive, and it just developed from there. Maybe it was something to do with the strength of the community and the solidarity during the strike that appealed to me. And you relocated to Wales to record it, didn’t you? Yes, we set everything up in a village hall in Merthyr Tydfil. Previously I’ve made most of the music myself at home, with just drums and brass sections done in a studio, but we had this space for a month, and we recorded everything in the one place. We kept it under wraps, and thought we’d need to have a cover story when people saw us coming in with equipment. We were a band called ‘The Antennaes’, if anyone asked, but no-one was bothered in the end. It was January and it was quiet so we were able to keep the room for the entire time. I’d seen other bands doing this, and it looked like a fun way to work so we gave it a try. It’s a much nicer way to make an album. Did you have to make way for the weekly bingo? Not really, although they did hold a Zumba class every Thursday, so we couldn’t record then as they made too much noise. And this album shows a development as you’ve started to use real vocalists, rather than found voices from archive film? Well, we have used human voices before, but not to the extent we have on this album. We were keen to evolve and change things and not stay the same. Also it does give you more freedom to express what we wanted to say, rather than rely on footage and stuff that’s already out there. There’s one track sung by James Dean Bradford from the Manic Street Preachers. How on earth did you get him on the album? He’s a fan! And also we met him at the Swansea gig, and a couple of other shows so I just asked him. He said yes, though I thought he might have just been being polite, but he kept answering my phone calls. I did struggle during the recording session not to keep pinching myself and thinking, ‘oh my goodness, it’s James Dean Bradford and he’s going to be on our record!’ But I pulled it together and stayed professional. Who else is on the new album? Traceyanne Campbell from Camera Obscura sings on ‘Progress’, which was the first track we released as a single. It’s not specifically about the Welsh pits, and we released it to deliberately be a bit obtuse; it stands alone without giving away what the album is about. There’s also Lisa Jen Brown, who is the vocalist with 9Bach, and she sings on the track ‘You and Me’. It’s a duet sung in Welsh and English and I like it because it is an actual song. We’ve finally written a grown-up song! Am I right in thinking that you are the uncredited ‘other voice’ on that track? Well, I’m not hiding it. It does say on the album credits that I do vocals, but she’s credited with singing the track. She carries it and I’m happy to let her. There were other people in the running to sing the English part, but it wasn’t working, so to save time I thought I’d do it and I hope it works. My mum likes it. Your songs still feature lots of archive vocals taken from films, so I was wondering how you write the songs. Do you have an idea and then go looking for some soundtrack, or does hearing the film soundtrack start off the idea for a song? It depends on the song. Often when a song is finished it’s not easy to unpick how the song ended up sounding like it does. With some songs, ones like ‘Go’ off the Race To Space album, it was a case of finding the archive and just making a song out of it. On this album, as the concept was already there, it was more about finding the archive to support the various ideas and turn everything into a song. Using archive film soundtracks to provide the vocals to a song is a pretty odd thing to do. How did this idea originally come to you? It was originally just about trying to get a bit of character into instrumental music. If you listen to tracks like ‘Now Generation’ on the first album, they’re a world away from the songs on Every Valley. We’re lucky that we’ve been able to invest time in the band and the song-writing so our sound has evolved over time. We’re also very lucky to be doing this sort of music at a time when anyone can work on a home computer to edit and create sounds. A few years ago that would have been a long and laborious task, and could only be done in a studio at great expense. You’ve played in Sheffield several times: DocFest, the Leadmill and twice at Tramlines. How do you find playing the songs live? I love it. It’s the main part of the job for me. I’m never happier than when we’ve got gigs to perform, hopefully putting on a good night and making people happy. Occasionally keeping the technology all working on stage can become a bit fraught, but it’s worth it. The band has grown and expanded too so we’re not standing still. How will you incorporate live versions of the new songs with all those guest vocalists? They can’t all be there, can they? Not easily. We won’t be able to tour with the Beaufort Male Voice Choir, I can tell you now. They drink too much beer for a start, but with some of the others we’ll be able to incorporate a bit of technology to artfully present them as if they’re there. We’ll be playing some older stuff as well of course. I’m not a fan of complete album shows. I want to hear a selection of songs when I go see a band, so we do the same. Can’t get enough PBS? Check out our review of new album, Every Valley, here. Every Valley is released on 7 July.